Upon arrival at our campsite you are presented an extensive brochure in english with all noteworthy attractions from the area. 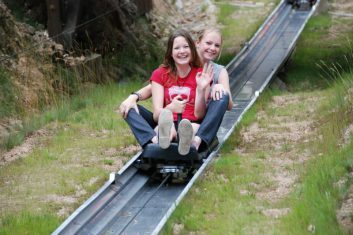 The direct surroundings of Camping Forteca offers many nice trips. The campsite is located between the Giant Mountains and the 'Sleza' natural reserve. 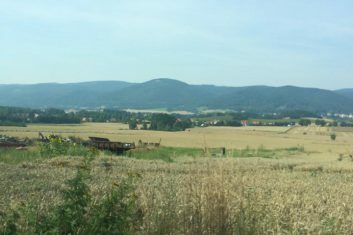 The area is ideal for hiking and cycling activities. At the campsite we have maps with walking and cycling routes. The Sleza reserve can be recognized by the lonely mountain that protrudes above the landscape. Park your car in the parking lot of the Tąpadła pass and choose a route to the top of the mountain. The walk is sometimes quite spicy but good to do for all ages. As a reward for your trip upwards you have a view over the lake of Mietków and you can see the city of Wrocław in the distance. 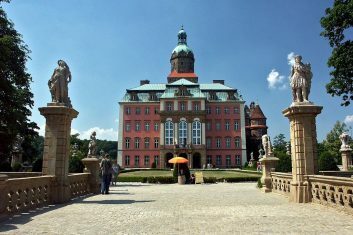 The castle Książ is a national tourist attraction, the story of Princess Daisy is told here but also the dark past times during the Second World War. Medieval town 4km away from the campsite. Ideal for groceries at Intermarche, Lidl, Tesco or Plus. In the central square you can sit on the terrace or stroll over the old city wall that surrounds the center. Three days a week there is a market with everything you can imagine. 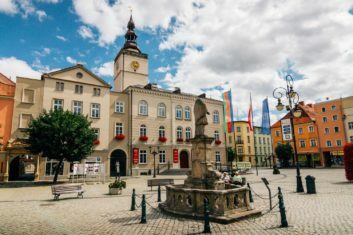 This classic built-in-baroque city has a great historical significance for the country of Poland. This can be seen in the many buildings, the town hall, but also the parks and the banks of the Oder where several bridges span the river. 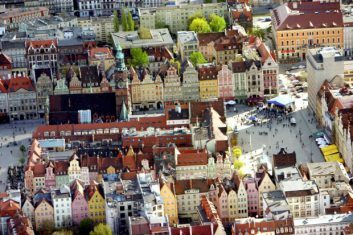 A visit to the main square, the Rynek, is not to be missed during a visit. Cozy terraces and street artists provide a specific atmosphere. 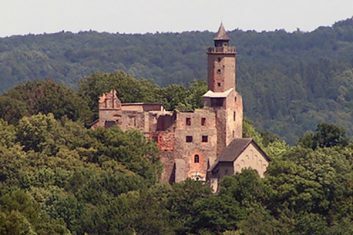 The castle of Grodno overlooks the Bystryckie reservoir. You can walk to the castle and immerse yourself there in the legend of the White Lady. Or view the large dam, which you can walk over. Visit restaurant Fregata for a cup of coffee on the way. 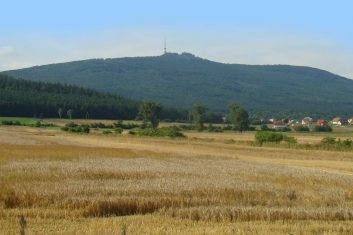 The Fortress Śrebrna Góra (Silver Mountain). 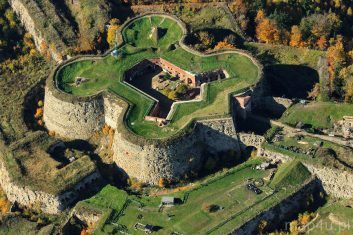 A fort from the time of Prussian times when Napoleon wanted to conquer the region. Here you will be welcomed by soldiers in full dress, you can whiz through the historic walls with a zip-lane or let yourself be driven around in the Fort Fan Express. The beautiful Cracow (Kraków) is very popular with tourists. We have been working together for several years with the small-scale hotel Tournet in the center of Krakow. This hotel is a few steps from the famous Wawel Castle in the Kazimierz district. The hotel is inexpensive, clean and charming and serves a good breakfast included. Pets are allowed and children under 12 stay for free. Klik op icoon voor spannende uitjes!